Bosnia’s civic Our Party [Nasa Stranka] party has started an initiative to decriminalize cannabis in the country. Gratz added that from the perspective of medical experts and progressive legal practice, as well as numerous citizen's initiatives, there is no obstacle in removing marijuana from the list of forbidden substances and adding it to the list of substances under strong monitoring. If it is successful, this would make it possible for marijuana to be used for medical purposes in Bosnia. 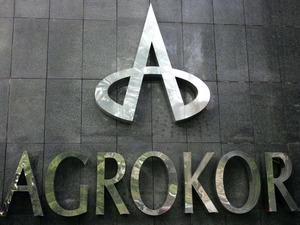 The value of stocks of companies within Croatia’s biggest private company, Agrokor, have continued to fall on the Zagreb stock exchange on Wednesday as the company’s financial crisis continues. 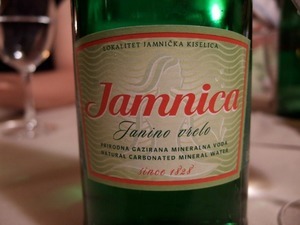 The value of stocks of ice cream and frozen food company Ledo have fallen by 19 per cent, while the stock value of water bottling company Jamnica has dropped by 17 per cent. 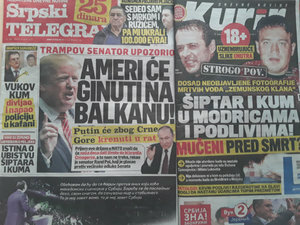 Two Serbian tabloids are recycling an old conspiracy theory that the leaders of the so-called Zemun Clan, a defunct criminal organisation involved in the assassination of former Serbian Prime Minister Zoran Djindjic in 2003, were perhaps not killed while resisting arrest for the murder, but were summarily executed. Srpski Telegraf (Serbian Telegraph) writes that the murder is “shrouded in secret”, quoting an unnamed source claiming the mobsters’ injuries could not come from bullets alone. Another tabloid, Kurir, writes that the killings are “shrouded in mystery” and quotes an anonymous source who claims that the findings of the autopsy were inconclusive. According to the official version of events, Zemun clan members Dusan Spasojevic and Mile Lukovic were killed by the police after resisting arrest. Claims that they were tortured and summarily executed appeared soon after their deaths, but were never substantiated. Kosovo President, Hashim Thaci who insisted on the transformation of Kosovo Security Forces, KSF, into a regular army through a law, after a strong international opposition has softened his stance. 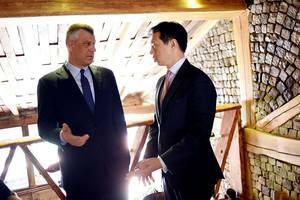 After a Wednesday's meeting with the US Deputy Assistant Secretary for European and Eurasian Affairs, Hoyt Brian Yee, Thaci wrote on Facebook that the transformation should be done through “a comprehensive and transparent” process. “We agreed on concrete actions towards achieving key priorities for Kosovo, related to the fight against organized crime and corruption, ratification of the agreement to mark the border with Montenegro, start work on drafting the statute of the Association of Municipalities of Serb majority, and the process of transformation of KSF into the Kosovo army, through a transparent and comprehensive process” wrote President Thaci. He also marked that the US is the main strategic partner for Kosovo. A declaration that Bosnian, Croatian, Montenegrin and Serbian are all variations of the same language has annoyed conservatives, but received a warmer welcome from the people who speak it. Read more. From media bias to a suspiciously large electoral roll and issues over voting in Kosovo, the presidential election in Serbia has been marred by glaring irregularities. Read the comment piece. As the main opposition party in Bosnia's Serb-dominated entity completes its reforms ahead of the 2018 elections, its leader tells BIRN that crude Serbian nationalism is not the answer. Read more. Four suspected jihadists from Kosovo – including one minor - have been arrested by Italian police in Venice. The suspects, who have Kosovo citizenship with valid residence permits in Italy, were arrested in a joint operation by Italian police and the Carabinieri on Wednesday night involving 12 raids – 10 of which were in Venice’s historic centre, one in Mestre, the mainland suburb of Venice, and one in the northern Italian Treviso. European People’s Party, EPP, expressed deep concern on Tuesday about the situation in Macedonia and condemned provocations that disrupt inter-ethnic relations. The resolution on the Western Balkans, which was adopted at the two-day congress of the EPP in Malta, where the leader of VMRO-DPMNE, Nikola Gruevski is participating, called all political leaders in Macedonia to avoid radical rhetoric and actions that pose a threat to peace and stability. The urgent draft resolution emphasizes the need for nurturing good neighbourly relations, the preservation of the multi-ethnic character of the region through peaceful cooperation, and it particularly emphasizes the need for swift implementation of reforms in the judiciary. Croatian Finance Minister Zdravko Maric told Croatian news agency HINA that he "can't comment" on the claims that financial reports to creditors and investors of the country’s biggest private company, Agrokor - currently going through a financial crisis - because he was not responsible for drafting them during his time as its executive director for strategy and capital markets. 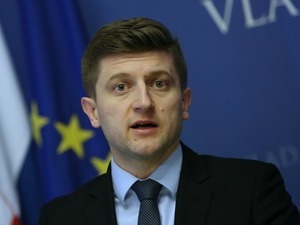 Maric held the role at Agrokor before becoming finance minister in January 2016, and some media have speculated that he may have been responsible for the company’s financial reports. Yuri Soloviev, first vice-president of the Russian state-owned VTB bank - one of Agrokor’s biggest creditors - said on Wednesday evening that there were certain "inaccuracies and irregularities" in Agrokor's financial reports sent to creditors and investors. Meanwhile, the Commission for Conflict of Interest Prevention confirmed that it had received four reports against Maric for his ties with Agrokor. Corruption is still highly present in Serbia, according to the country’s Anti-Corruption Agency’s report for 2016, which it submitted to the National Assembly on Thursday. "It is evident that corruption is still largely present in our society and that results in the fight against corruption are not sufficiently visible (even though great efforts have been made and despite the fact that certain results have been achieved), which is making it difficult to restore confidence in the work and efficiency of the institutions," the report states, according to N1. The director of Serbia’s Kosovo office, Marko Djuric, and Serbian interior minister Nebojsa Stefanovic, met with the deputy Secretary General of the pro-Kremlin Yedinaya Rossiya (United Russia) party and one of Russian President Vladimir Putin's closest allies, Sergei Zeleznjak, in Belgrade on Thursday. Zeleznjak was in Serbia to show his party’s support for current Serbian Prime Minister Aleksandar Vucic, who is running in the presidential election on Sunday, and who Putin also expressed his support for during Vucic’s recent visit to Moscow. Zeleznjak said his and Vucic’s party, as well as Serbia and Russia, are facing similar threats, therefore coopperation between both parties is crucial. All sides present at the meeting agreed that a special military neutral zone in the Balkans should be created, the Serbian Progressive Party informed media today. Hungarian Prime Minister Viktor Orban said that it’s time for Europe to “wake up” to the threats it is currently facing, including the refugee crisis and foreign influence in the region, and that the new European foreign policy should focus on stability. "If millions of migrants start marching in the Balkans again, it will be impossible to maintain stability," Orban said at the European People's Party Congress on Thursday. He added that Macedonia cannot be stable without Nikola Gruevski’s VMRO DPMNE party in power, and that stability of the Balkan requires a new election in Macedonia as soon as possible. He also noted he sees Russian, Turkish and US influence in the region growing daily, “whilst the influence of the European Union is decreasing”, adding this is a bad policy and "it’s time we change it". The Hungarian leader also wished Serbian Prime Minister and presidential candidate Aleksandar Vucic good luck in Sunday’s election, after Russian President Vladimir Putin did the same earlier this week. The remains of two bodies have been found on Trebevic mountain near the Bosnian capital of Sarajevo, Bosnia’s State Prosecutor's Office announced on Thursday. After receiving an anonymous tip, two days ago the Special Department for War Crimes ordered that exhumations be carried out in the Zlatiste area near Sarajevo before the bodies were found today. Prosecutors suspect the bodies, which need to be further analysed in order to determine their identities, belong to war victims. The search for any other victims is ongoing in the Zlatiste area. The value of bonds of Croatia’s biggest private company Agrokor - currently going through a financial crisis - have plummeted to 25.5 per cent of their nominal value on the Berlin stock exchange on Thursday. This came after credit rating agency Moody's downgraded Agrokor's rating from B3 to Caa1 on Thursday. Bozo Petrov, chair of the Croatian parliament and president of the junior government party Bridge of the Independent Lists, MOST, filed a criminal report on Thursday afternoon against the management of Croatia’s biggest private company, Agorkor, and its owner, Croatian businessman Ivica Todoric. Petrov has reported Agrokor, which is currently going through a financial crisis, and its boss for allegedly falsely reporting the company’s debt in financial reports that were given to creditors and investors. His claims relied on the statements of Yuri Soloviev, first vice-president of the Russian state-owned VTB bank - one of Agrokor’s biggest creditors - who said on Wednesday evening that there were certain "inaccuracies and irregularities" in Agrokor's financial reports. Authorities in Bosnia suspect that two bodies found on Mount Trebevic near the Bosnian capital of Sarajevo on Thursday belong to Bosniak war victims from the city’s Grbavica neighborhood, local media in Bosnia reported on Friday. Croatian Prime Minister Andrej Plenkovic said on Friday that the Croatian government will draft the Law on Procedures for Extraordinary Management in order to create "adequate legal and institutional framework" for helping companies in need, but it will not be to save anyone in particular, "nor Ivica Todoric", a Croatian businessman and the biggest owner of Agrokor - currently going through a financial crisis. The government will discuss the law on Friday, which would give the state a role in the crisis management of so-called “systematic companies”, companies deemed vital for the normal functioning of the economy. 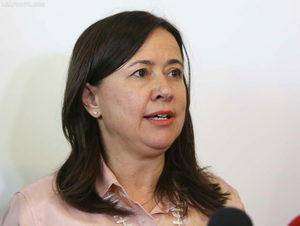 In such situations, the commercial court would name an extraordinary manager of the company – controlled by the Economy Ministry – which would help avoid the need for regular bankruptcy procedures. Chinese President Xi Jinping praised Serbia-China relations after a meeting with his Serbian counterpart Tomislav Nikolic, referring to Serbia as China’s "steel friend" and expressing his satisfaction with the Balkan country’s active role in the "16+1" initiative, a Chinese project aimed at strengthening ties between it and countries in Eastern Europe, Serbian media have reported. Xi also said that China would donate 100 million Chinese yuan [13.6 million euros] to Serbia, and that China is ready to support the creation of a Centre for Building Infrastructure under the 16+1 initiative. Additionally, he promised to personally encourage entrepreneurs to get involved in joint projects with others in Serbia. Nikolic is currently on an official visit to China, where he was made a honourary citizen of Beijing on Thursday for his contribution to the improvement of Serbia-China relations, and has met with delegations of Huawei telecommunications company, the Liten Group and Shanghai Leasing to whom he was lobbying for investments in Serbia. 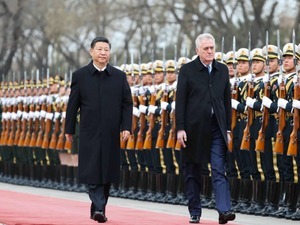 Serbian media have also reported that Xi was pleased that Macedonia and Greece were interested, in addition to Serbia, in China’s help in building a waterway between the Danube, Morava, Vardar and the Aegean Sea. 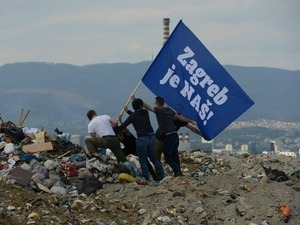 New Croatian political platform 'Zagreb Is Ours' issued a photo of activists raising a flag at the junkyard in the Croatian capital to mark the opening of their campaign for local elections scheduled for May. With their photo, which is reminiscent of the legendary flag-raising photo of US marines atop the Japanese island of Iwo Jima in 1945, the platform wished to highlight the fact that Zagreb is one of the worst major cities in the EU in terms of recycling. Montenegro officials have welcomed the US Senate’s decision to ratify its entry into NATO, calling it a great step for the small Balkan nation. Prime Minister Dusko Markovic said that Montenegro never doubted US support, adding that Montenegro’s membership in NATO would be its biggest foreign policy success since it gained independence and split from Serbia in a 2006 referendum. Montenegro is set to become NATO’s 29th member following the Senate’s ratification on 28 March. Russia has strongly opposed NATO’s expansion in the Balkans and has been accused by Montenegro of trying to stage an Election Day coup in October in an attempt to keep the country out of the alliance. Russia considers Montenegro and other western Balkan states as part of its sphere of interest. The pro-Russian opposition parties in Montenegro reacted by saying they are demanding a referendum on NATO entry. Bosnian band “Dubioza Kolektiv” released a music video on Friday for a song dedicated to 22-year-old Bosnian basketball star Jusuf Nurkic, whose NBA team, the Portland Trail Blazers, is trying to clinch the 8th playoff spot in the Western Conference league. The band made the song, called 'Nurk Fever’, specifically for Nurkic after another of their tunes was played before a previous NBA match in the US city of Portland – a request from the 7ft-tall basketballer. Croatia’s state financial agency FINA confirmed on Friday that Croatia’s biggest private company Agrokor – currently going through a financial crisis - as well as its subsidiary companies Belje, Ledo, Jamnica, Tisak, PIK and Velpro, have had their accounts blocked, news site Index reported. This is likely a result of activated debentures of the company’s biggest suppliers, according to Index. However, the account of Agrokor's biggest national retailer, Konzum, remains open. Daily Jutarnji list reported on Friday that Agrokor also owes the state 10.8 million euros in unpaid VAT, but the company claimed on March 17 that there was no unpaid taxes towards the Croatian state. 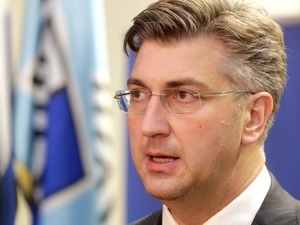 Croatian Prime Minister Andrej Plenkovic called opposition MPs to an urgent meeting in the government over the draft Law on Procedures for Extraordinary Management, which the media has nicknamed 'Lex Agrokor' because only Croatia’s largest private company, Agrokor – currently in financial crisis - will meet the criteria set out in the proposed legislation. Three MPs - Pedja Grbin, Sinisa Hajdas Doncic and Arsen Bauk - of the centre-left Social Democratic Party, SDP, attended the meeting, as well as MPs of smaller anti-establishment parties - Ivan Vilibor Sincic, Goran Aleksic and Ivan Lovrinovic. According to claims from some of the MPs, Plenkovic wanted to introduce them to the proposed law, which will be up for discussion in parliament on Saturday. Child protection inspectors in Bucharest are investigating allegations that teachers and caretakers in a school for children with special needs have been abusing the students. The probe comes after NGO workers from the European Center for the Rights of Children with Disabilities filed a criminal complaint against the school on Friday, and also submitted a recording of one of the teachers explaining how his coworkers beat and harshly punish children in their care. The school management has rejected the accusations, but added that this is the fourth time in the past year that they have had to deal with such a complaint. The case surfaced days after the Romanian Ombudsman’s office voiced concerns of children’s rights in Romania to the state. The Ombudsman, Victor Ciorbea, said his office will also investigate the case and will prepare a full report on children’s rights in Romania’s education system. 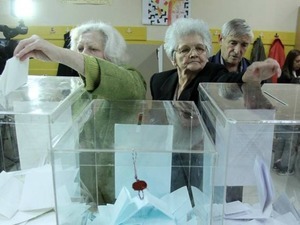 OSCE Mission in Kosovo announced it “will conduct a collection of votes operation, opening four collection centres with associated branches throughout Kosovo, with OSCE staff presence” for the Serbian presidential elections on Sunday. The OSCE’s decision came upon a request from Belgrade, and was approved by the Kosovo government. The OSCE Mission’s field presence in Kosovo has made information available on the locations to be used for the operation. After the polling stations are closed, the OSCE will transport the ballots to the Serbian towns of Raska and Vranje, where they will be handed to the Republican Election Commission, RIK. Civic initiative “Let's not drown Belgrade” (“Ne davimo Beograd”) petitioned the Serbian State Prosecutor on Friday to take legal action to cancel the contract for the controversial, Arab-backed Belgrade Waterfront project. Serbia signed a contract with Eagle Hills, a company from the United Arab Emirates, to redevelop much of the south bank of the Sava river into a glitzy residential, retail and dining district. Activists from the initiative said they would challenge the contract in court if the prosecutor, Zagorka Dolovac, turns their request down. Let’s not drown Belgrade has been a staunch opponent of the project since the beginning, claiming that Serbia agreed to invest more and profit less than the private partner. Many buildings in the city’s waterside Savamala district have been razed to make way for the project, including refugee aid centre Miksaliste. Since it began, the project has continued to attract controversy, especially after the mysterious night-time demolitions in Savamala by a group of around 30 masked men – an event for which no one has been found responsible for yet. 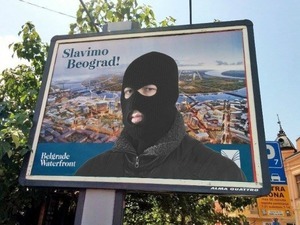 Belgrade citizens update Belgrade Waterfront poster to mock the nocturnal demolitions by masked men in the Savamala district | Photo: Facebook. One of the local coordinators for Serbia's State Electoral Commission, RIK, was arrested for causing an incident while being intoxicated during the handover of materials for the April 2 presidential election, news website Insajder reported on Friday. 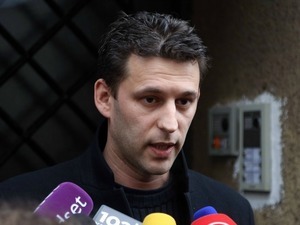 Mihajlo Gajic from the ruling Serbian Progressive Party was drunk when he started tearing and throwing away papers he received, according to Insajder. RIK will vote on whether to dismiss him and place his deputy in charge, but it is waiting for a report on how much of the material was destroyed by Gajic. Albania’s International Monitoring Operation, IMO, took a list of 84 candidates from the Ombudsman’s Office on Friday who fulfill the criteria for being part of the commissions that will vet around 800 judges and prosecutors of Albania. IMO also took a second list of 109 other persons who did not meet the requirements. IMO’s observers will now proceed with their independent review of all submitted documents and deliver the final lists to parliament for voting on members of the two commissions.